A string of mysterious deaths is plaguing Malcolm King. Each death is someone tied to him, and appears to be someone, such as himself, who is very skilled at surgery. Not only does he have to contend with this, but there are two mysterious strangers out there that he keeps seeing. Who are they, and what is their connections to the murders? This was a fast paced thriller, with a very interesting antagonist, and a ton of twists along the way. The writing style kept me involved, the characters were well developed, and the situations, for what they are are realistic. One possible drawback is that due to forshadowing, it’s possible as a reader to figure out the killer’s connection before Malcolm does. That however doesn’t ruin the fun of the story, because you are still provided with seeing Malcolm’s reactions to the events. I’d say this is geared toward thriller and mystery fans, and if given a rating I’d give it a PG-13 due to the language and content. Pick it up for a fun weekend read, or with the Halloween season, it’d be a good story to replace all of those “see that before” horror movies being shown on TV. 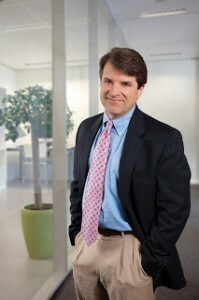 A physician currently living in Savannah, Georgia, Mark Murphy is also a lifelong award-winning writer. In the midst of a busy medical career which included several academic publications, Dr. Murphy’s decision to attend the Iowa Summer Writing Festival led to the inclusion of a short story, “The Funeral,” in a 2004 collection of works entitled O! Georgia! A well-received regular newspaper column in the Savannah Morning News followed. The Shadow Man is his first novel. Bilbo Baggins – A Hobbit. A hobbit is surprised one day by the visit of the Wizard Gandalf. Unbeknownst to the Hobbit, when the wizard leaves, he marks the door with a symbol. This symbol brings not 1, not 5, but 13 Dwarves to Bilbo’s door. Their purpose, travel to the west to a mountain, destroy the dragon Smaug and retrieve the dwarven treasure he has horded. Sounds simple enough, unless you’re a hobbit. This along with The Lord of the Rings is the grandfather of modern Fantasy. The characters, or at least the character of Bilbo, are well developed. I can’t say the characters of the 13 dwarves are as developed, their main distinguishing feature is either their weight, or the color of their hoods. As for Bilbo and the other supporting characters, they are well designed, and the reader tends to care what happens to them. You can feel Bilbo’s nervousness and cheer him on during his acts of bravery. The story is broken into two main parts. One adventure is the discovery of the magic ring, what will turn out to be a catalyst for The Lord of the Rings series to follow. The other adventure is to actually infiltrate the dragon’s lair and discover the treaure. For fans of Fantasy, this novel is required reading. If you haven’t read fantasy novels though, you might not want to start with this one. Tolkien has a tendency for the average reader to be hard to understand, and this sometimes leads people to give up rather than attempt to finish his novels. His style is probably close to Shakespeare in the use of language, and poetic prose. For this reason, it seems to be an acquired taste. I’d suggest you get a copy of it, and give it a shot. Definitely read this before attempting to read Lord of the Rings which is a quite hefty story. I think the age appropriateness is good for teens and adults. 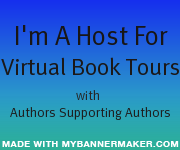 There is some violence and scary situations which wouldn’t be good for most young readers. Give it a shot, and be sure to drop back by and let us know what you thought. If I recall the first part comes out as a movie in December, so you can familiarize yourself with the events before you see it brought live on the big screen. Born on January 3, 1892, in Bloemfontein, South Africa, J.R.R. Tolkien settled in England as a child, going on to study at Exeter College. 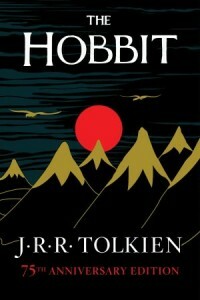 While teaching at Oxford University, he published the popular fantasy novels The Hobbit and the Lord of the Rings trilogy. The works have had a devoted international fan base and been adapted into award-winning blockbuster films. 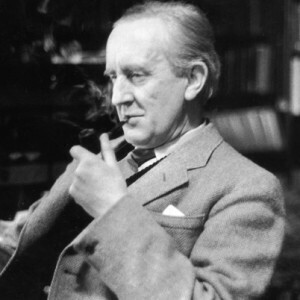 Tolkien died in 1973 at 81. Jezzie – Female FBI Agent. Two young children are kidnapped. Three people are found murdered in an urban neighborhood. Alex Cross is pulled from the murder case to investigate the kidnapping. Having seen the movie version of this with Morgan Freeman, I was afraid that the book would hold no surprises. However, that didn’t seem to be the case. Either it’s been a long time since I’ve seen the movie, or much was changed, because other than the kidnapping, nothing seemed familiar. I really enjoy the Alex Cross books. Some of Patterson’s other books leave me with a take them or leave them view, but the Alex Cross always draws me in. 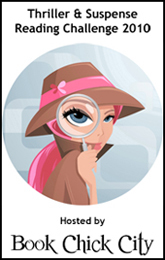 The characters are vivid, and enough of their background is told that the readers can related to them. This story holds quite a few shocks and surprises, and was definitely enjoyable. If you’ve not read any Alex Cross novels before, no better place to start then the first one. If you have read them, but not this one, pick it up and see how the character may have changed over time. If you’re just a fan of thrillers/crime stories, then pick this up. I’d recommend it for older teens/adults due to the content. If you read it, be sure and stop by to let us know what you thought. 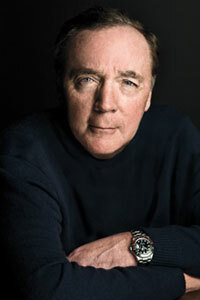 In the past three years, James Patterson has sold more books than any other author (according to Bookscan), and in total, James’s books have sold an estimated 260 million copies worldwide. 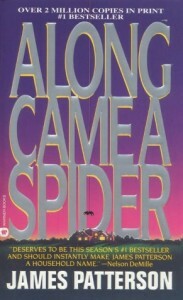 Since 2006, one out of every seventeen hardcover fiction books sold was a Patterson title. He is the first author to have #1 new titles simultaneously on The New York Times adult and children’s bestsellers lists and is the only author to have five new hardcover novels debut at #1 on the list in one year—a record-breaking feat he’s accomplished every year since 2005. To date, James Patterson has had nineteen consecutive #1 New York Times bestselling novels, and holds the New York Times record for most Hardcover Fiction bestselling titles by a single author (76 total), which is also a Guinness World Record. Patterson is the creator of the top-selling new detective series of the past dozen years, featuring Alex Cross and including the Hollywood-adapted “Along Came a Spider” and “Kiss the Girls,” starring Academy Award-winning actor Morgan Freeman. He is also the creator of the #1 new detective series of the past five years, featuring Lindsay Boxer and the Women’s Murder Club, from which the ABC television drama series was adapted. He has authored books behind six films on the Hollywood fast-track, including the upcoming Maximum Ride movie forthcoming from Avi Arad, the producer of X-Men and Spiderman. He is the author of novels — from The Thomas Berryman Number (1976) to Honeymoon (2005) — that have won awards including the Edgar, the BCA Mystery Guild’s Thriller of the Year, the International Thriller of the Year award, and the Reader’s Digest Reader’s Choice Award. And, he has won a Children’s Choice Book Council’s Children’s Choice Awards “Author of the Year” award (2010). One of Forbes magazine’s Celebrity 100, James made a guest appearance on the popular FOX TV show “The Simpsons” in March, 2007. Buttercup – A princess in love, but marrying another man. 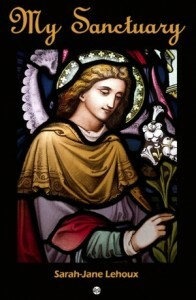 Wesley – The young love of Princess Buttercup. Inigo Montoya – A Young Spanish man set on avenging the murder of his father. Fezzik – A Large Brutish Man with a love for rhymes. Prince Humperdinck – Soon to be King, is determined to marry Buttercup at all costs. Young Wesley is a farmhand working for Buttercup’s family. They are in love, but she is determined to have better in life. Wesley goes off to make a name for himself and is killed by the Dread Pirate Roberts. Buttercup, heartbroken, agrees to marry Prince Humperdinck. When time draws near for their wedding however, Buttercup is kidnapped by 3 thieves, who in turn are being followed by a mysterious man in black. What is the agenda of the man in black? Will Buttercup ever find the love she seeks? Will Inigo Montoya achieve his revenge? To find out, read The Princess Bride. Okay, I realize this is an old book, and pretty much everyone and their cousin has seen The Princess Bride. This year however marks the 25th anniversary of the movie, and I figured what could be better than to offer my readers a review of the book. Everything you love about the movie, down to the quotes people like to repeat, are featured here. The story seems changed slightly. In the printed version, it’s based around the idea of an old fairy tale by S. Morgenstern that the author is writing as an abridged version. Scenes are often interrupted by either Mr. Morgenstern or the author Mr. Goldman. I found this to be a bit distracting at times and to pull me out of the story. I think it would have been much tighter without it. That being said though, I found it, just like the movie version to be a delightful fantasy with humor, vivid characters, and action and adventure. There is little to not like. I’d definitely rate it PG-13 for mild violence and themes, but for lighthearted adventure you can’t go wrong. If you haven’t read the book, or watched the movie, what are you waiting for. 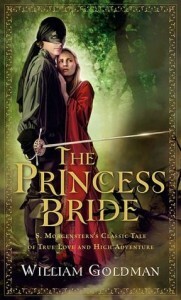 Grab a copy of either one, and stop back by to let us know what you thought of The Princess Bride. 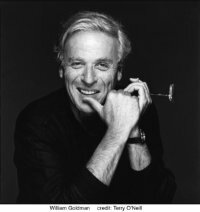 William Goldman has been writing books and movies for more than forty years. He has won two Academy Awards (for Butch Cassidy and the Sundance Kid and All the President’s Men), and three Lifetime Achievement Awards in screenwriting. Alison Kraft – A woman dealing with the fact that she’s killed another human being. Hank Kraft – Audio Equipment store owner. Jimmy Kraft – Nine year old son of Alison and Hank. Ben Burne – One of four psychopathic brothers. What measures would you go to protect your family. Would you kill for them? How would it alter your character if you did? That situation is what Alison Kraft must confront when she finds herself having to deal with the Burne Brothers. I had mixed feelings on this book for various reasons. The characters were well written, and the emotional trauma that Alison is facing is very aptly written and very emotionally fulfilling. The areas where I had problems is that at times Alison’s behavior or what her family perceived as going on, brought back some rough memories from my childhood when my own mother suffered from emotional problems. The characters, some of the ways they handled it, and some of the things said brought me back to those years that I’d tried to put behind me. However, I’ll consider that as a talent of the author, not a drawback. The situations I found very realistc, I found it raising perplexing philosophical questions and I’d have to stop reading from time to time and reflect. 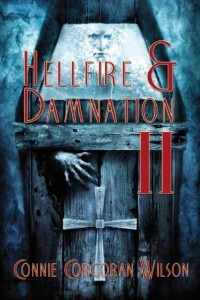 By the end I was very satisfied with the conclusion, and it fit with everything that occurred previously in the book. If you like psychological thrillers, and a look into the human mind, and enjoy really psychopathic bad guys, then pick this up. I think you’ll enjoy it. Be sure and stop back in and let us know what you thought. 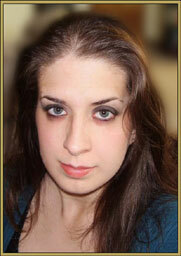 Deborah has been a writer for twenty years, initially in television and film, and now novels. 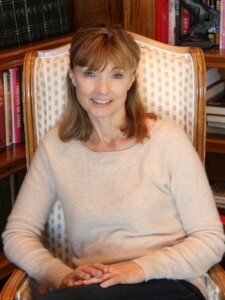 Her screenplays have been produced by Showtime, CBS, NBC, Lifetime, Sony and others. She has worked on staff, and as a freelancer, for producers, directors, and actors, including: James Cameron, Meg Ryan, Beau Bridges, and Robert Cort. 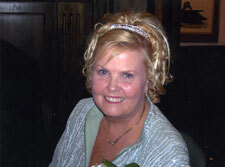 She has written on assignment eleven TV films and numerous episodes. When time permits Deborah teaches screenwriting at the University of California, and at workshops nationwide. Born and raised on the East Coast, Deborah now lives in Southern California with her husband and three children.